Technoton Engineering offers a new smart sensor and IoT sensor development services using its time-tested technology. The results of hard work under the technology since 2000 are represented in innovative hardware & software ready Smart Sensor Platform. Thanks to our smart sensor platform and IoT Burger Technology we do custom smart sensors & IoT sensors development faster, saving up to 90% time on R&D. It`s real because all we need is only to customize our smart sensor development technology for new tasks. Smart sensor platform is time tested in a harsh environment, includes industrial-grade components and is used regularly for telematics sensor, BLE sensor, MQTT sensor development. Smart sensors designed by Technoton Engineering include innovative functionality of fog/edge computing, two-way communication with other sensors in a network, server and/or user direct connectivity including a secured connection over MQTT protocol. 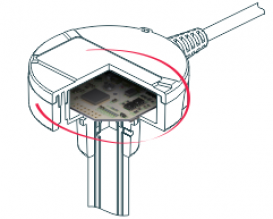 Give us an input signal - and we`ll create a cutting edge smart sensor and IoT sensor. As can be seen, IoT sensors such as a liquid level sensor in a tank, a gasoline flow meter at a gas station, a tire pressure sensor in a car are 80% identical. The differences are concentrated in a measuring module and a primary converter, the further onboard data preprocessing is almost identical. A ready technology for smart level sensor development with a modular architecture and wide customization opportunities. Optional interfaces - RS-232/485, CAN bus, analog. Connectivity - 3G, LTE, NB-IoT, BLE.